features images from Folk New England. 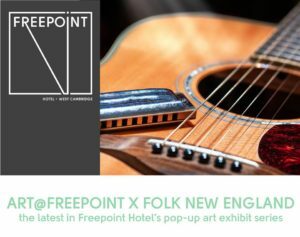 This exhibit showcases a collection of historic photographs and memorabilia chronicling the birth of folk music in Cambridge. Harvard Square has long been an epicenter of critical thinking and social and political reform, and nowhere was it more rampant than in the folk scene that had its inception in the late 1950’s through 1960’s at Club 47 at 47 Mount Auburn Street.